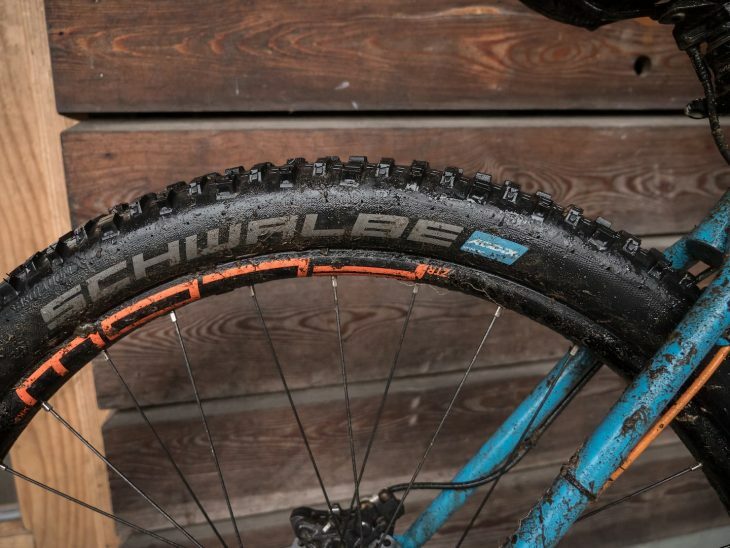 The Nobby Nic is a well-loved tyre from Schwalbe, which has recently been bolstered with the new Addix rubber compound and a ‘plus-minus’ 2.6in width option. 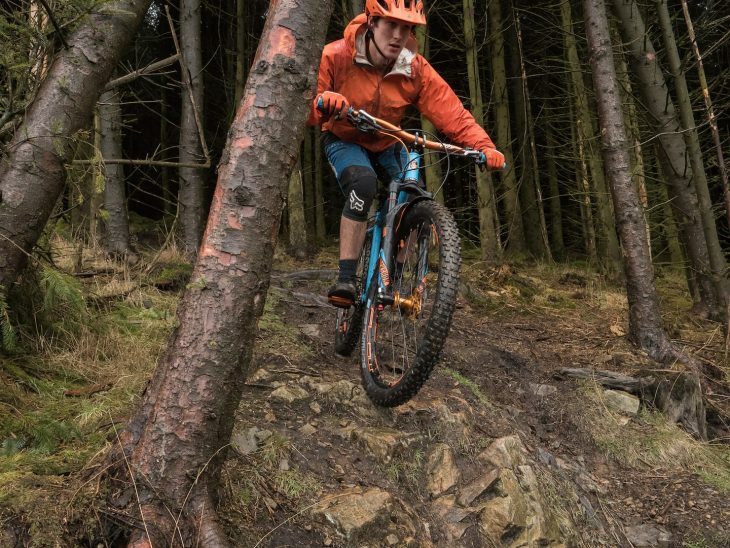 To put these new not-quite-regular-not-quite-plus tyres to the test along with three other pairs of 2.6in wide tyres, we got our enduro moustachio, Ben Gerrish, to take them to task on some rocky Lake District carnage. Over to Ben! Schwalbe has given the Nobby Nic tread the 2.6in tyre treatment, with both 27.5in and 29in versions available. Reinforced APEX casing promises better durability and stability at low pressures. A tried and tested tread pattern for Schwalbe, the ever-popular Nobby Nic has been around since 2014 in its current guise. More recently though, the Nobby Nic has been spruced up with Schwalbe’s all new tyre Addix rubber compounds that includes (in order of gooeyness) Addix Speed, Addix Speedgrip, Addix Soft, and Addix Ultra Soft. This specimen features the Addix Speedgrip compound, which comes with some impressive claims. Compared to the previous PaceStar compound, Addix Speedgrip apparently offers a slight reduction in rolling resistance, whilst improving both damping and grip. The biggest claim of the new Speedgrip compound is in its durability however, which has gone through the roof with a purported 62% increase in wear resistance. Oh, and it comes with a steezy blue stripe the full way round, so you don’t forget. The new Addix Speedgrip compound comes with some pretty bold claims. The Nobby Nic is marketed by Schwalbe as a do it all tyre, and one that can take on everything from enduro tracks through to cross country touring, while also being pitched as an all weather beast. Tyres are by nature, specific to certain conditions though, so you can appreciate that I was initially somewhat skeptical of Schwalbe’s bold claims. 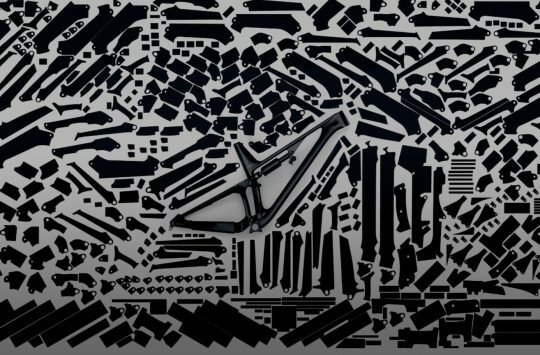 At 930g per tyre, the 27.5×2.6in Nobby Nic is surprisingly light for how big it is. Mounted up on 29mm wide Roval Traverse rims, the Nobby Nics deliver a nicely rounded and high volume profile. I clocked them at 2.53in wide with a set of vernier callipers, which is just short of Schwalbe’s claimed width. However, expect that number to grow true to size when they’re fitted to rims closer to 35mm wide internally. The Nobby Nic tread pattern is endowed with a generous collection of square and rectangular tread blocks, which are spaced consistently throughout the tread. 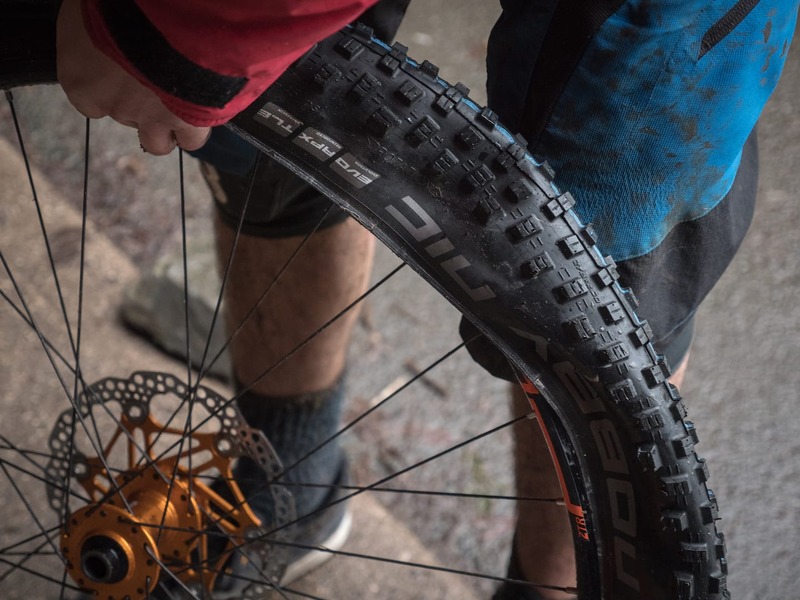 Combined with the Addix Speedgrip compound, this makes for an incredibly efficient and fast rolling tyre on hardback trail. 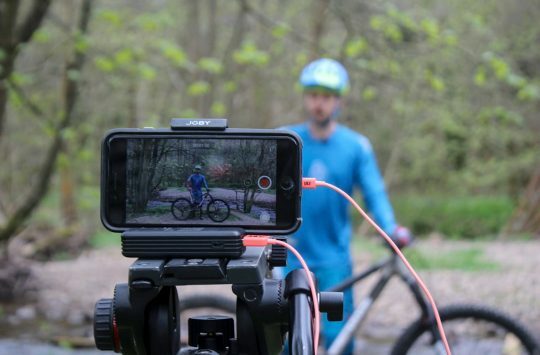 The high volume casing floats along nicely with minimal drag, and on the right trails you’ll feel like a pedalling hero given how much rubber is rolling underneath you. 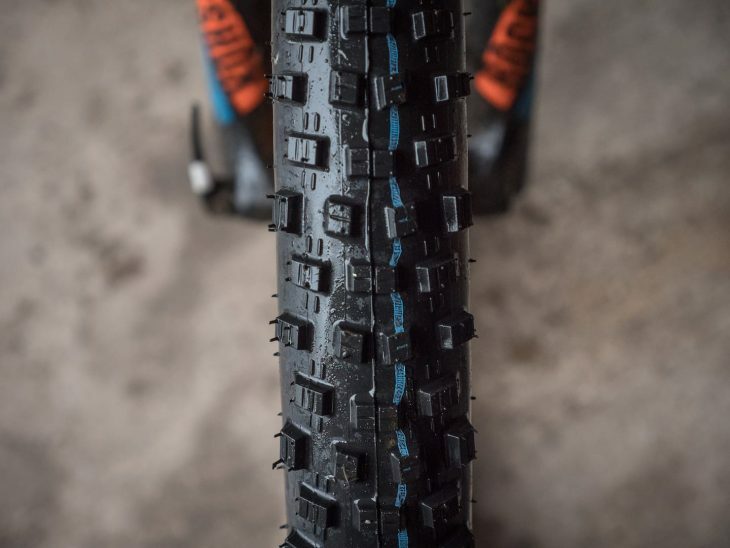 The blocky tread pattern on the Nobby Nics gives it plenty of edges to grab onto rocky hardpack trails. The Nobby Nic also holds its own on dry and rocky terrain too, with excellent grip and confidence that’s bolstered by the reinforced Apex casing. The tough casing meant I could run pressures as low as 20psi on the front, without fear of pinching the tyre on bigger hits. A lot of my test time on the Nobby Nic was carried out through a wet British winter however, and this is where I found its limitations. As soon as conditions become adverse, the Nic starts to lets go, with the small sized tread blocks failing to deliver much in the way of grip and control. Although the pointier centre tread should help break the surface to cut through the slop, when conditions aren’t prime, surprisingly the open spacing doesn’t actually clear mud that easily. And that leaves you with what can only be described as wild ride. 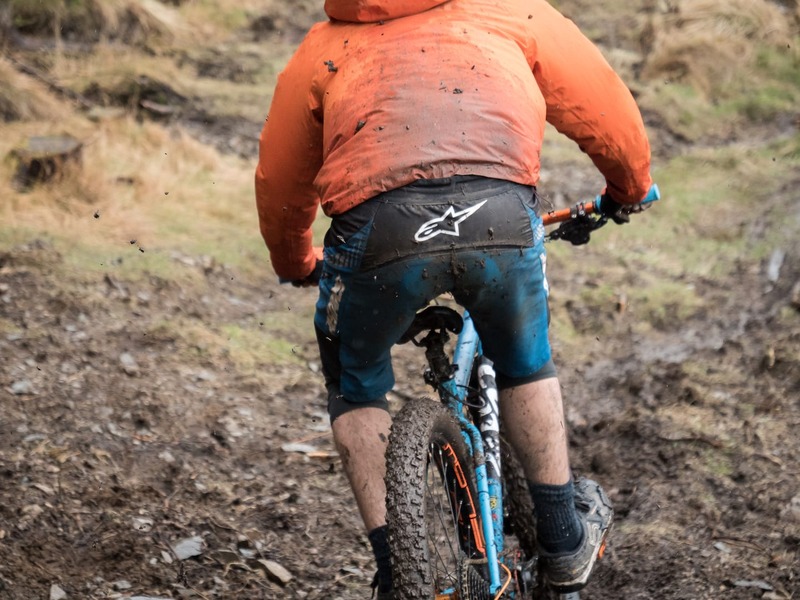 On the back this can be embraced to a point, but there just isn’t enough about the front tyre to really allow you to commit to anything if the conditions are wet and muddy, as it lacks positive feedback. This is likely exacerbated by the bigger volume width, which does tend to float a little more over the mud, rather than cut through like a narrower or toothier tyre would. The reinforced APEX casing is a must if you frequent rocky terrain like this. Once the conditions dry out though, the Nobby Nic starts to regain its composure. 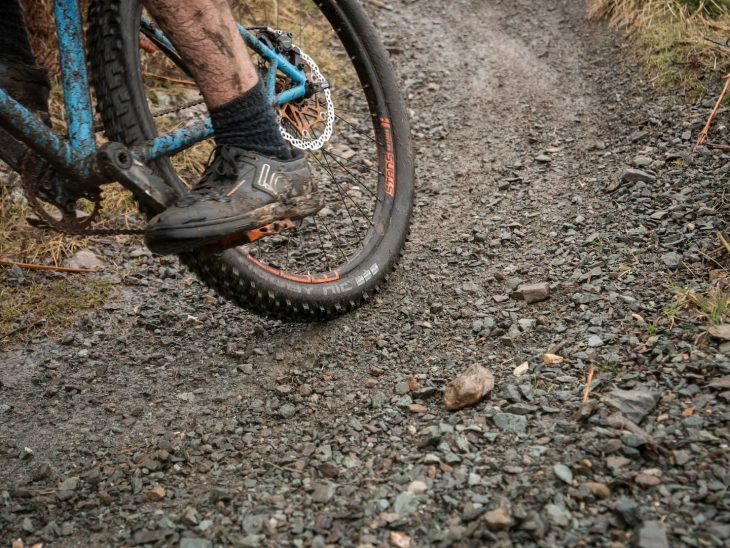 The blunt edges on the blocky tread provide excellent bite for latching onto loose soil, roots and rubbly rocks, with good braking traction that is particularly noticeable on steep descents. On the technical climbs, the wide footprint and high surface area commits a large amount of rubber to the trail, and wheel slips were something I didn’t encounter, as long as it wasn’t too wet. That said, I’d say that Schwalbe’s bold claims for the Nobby Nic’s all-round capabilities come up a bit short in the real world. Perhaps they can handle ‘winter’ conditions in places like California or Australia, but on the sloppy and muddy trails in the north of the UK, the Nobby Nic is certainly not the tyre I’d be choosing to run up front. 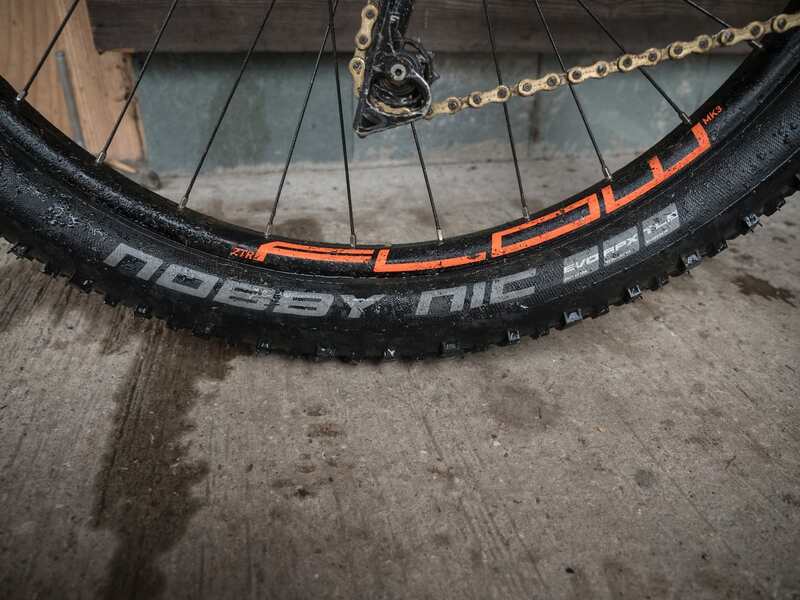 Despite its size, the Nobby Nic is one of the fastest 2.6in wide tyres we’ve tested. The Nobby Nic is much better suited to drier conditions, particularly if things are loose. 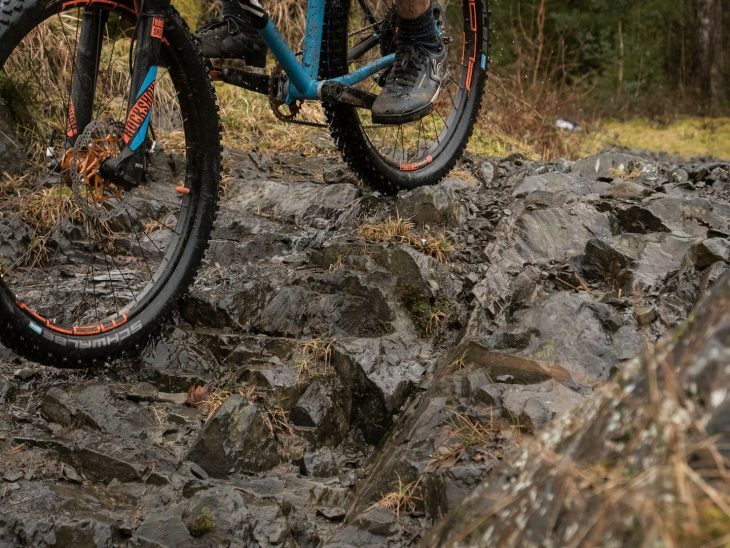 The Apex casing delivers great stability at low pressures and the Addix rubber compound provides consistent performance on rocky trail-centre type singletrack, while having enough edges to stick to the loose rubble you’ll come across on more natural terrain. 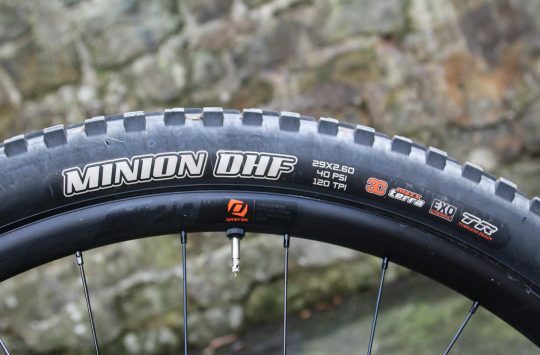 It’s also a very quick-rolling tyre too, and that makes it a great option for all-day trail riders wanting a big volume tyre, without feeling like you’ve just strapped an anchor to your bike. If you use SMKpero Grease in your Bike, your bike speed will be fast. 20 psi low!!! I run between 8 and 12. 650b plus tyre (3:00) on my Marin hardtail and have no grip issues. Southdown’s mud and chalk all year round and find that the tyres clear out with no issues. Steady speeds and 11st 10.